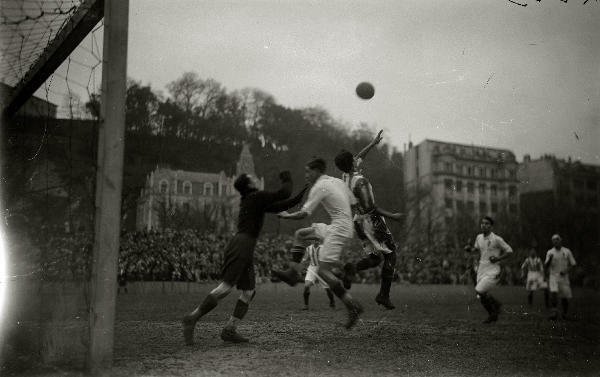 This is where it all began, the field of Ondarreta located in front of the Cantabrian Sea was where Real began to play its matches and where it obtained its first title, the “Copa del Rey” in 1909. 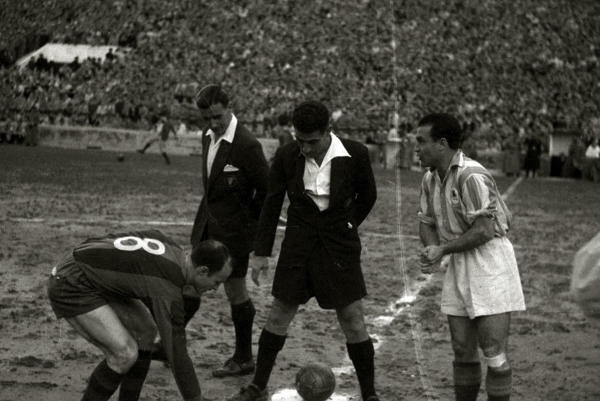 Three matches had to be played to decide the “Copa del Rey” champion, the triple final of Santander against FC Barcelona was immortalized by the poems of Rafael Alberti, “Ode to Platko” and the replica of Gabriel Celaya, “Counter ode of the poet of Real Sociedad”. 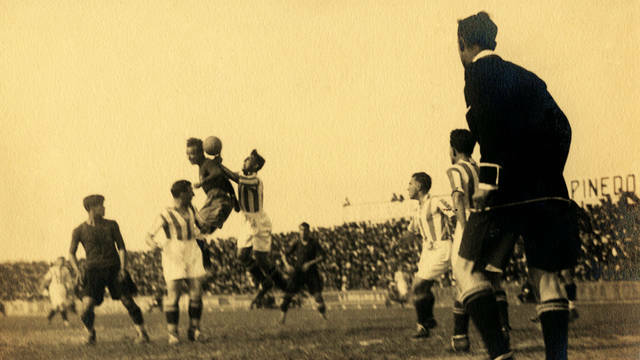 La Real was one of the founding clubs of the first League Championship, coming 4th and Paco Bienzobas, local player being top scorer with 17 goals. 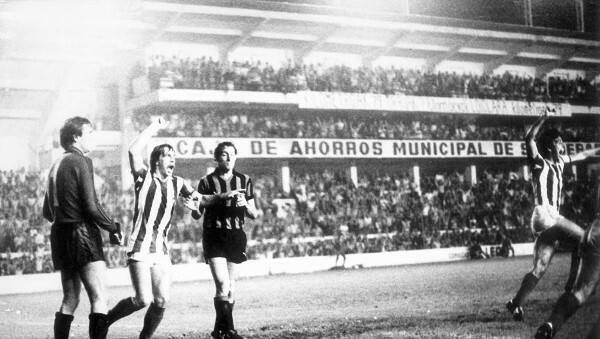 Bienzobas died in 1981, just one day after being informed about the first league title of Real Sociedad. Despite being in the lead for most of the league, Real Sociedad finished in a triple tie with Athletic Bilbao and Racing Santander, ending up third by goal average. The team was trained by Harry Lowe. 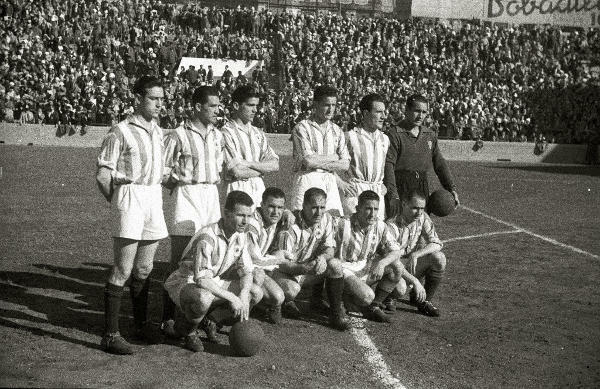 La Real, with Benito Diaz as coach and having recovered several players who returned after making Valencia league champion (Eizaguirre, Igoa and Epi), managed to play a magnificent Cup tournament, thrashing Real Madrid in semifinals, before losing against FC Barcelona in the new Chamartín, today Santiago Bernabéu Stadium. If Real Sociedad had been able to retain those 3 players, the achievements of Real would have been greater. 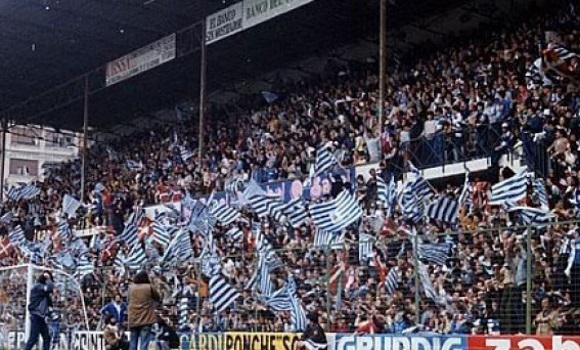 Real Sociedad has fallen several times, but if something has characterised the club throughout its history, it is the fact that it has always stood up stronger. 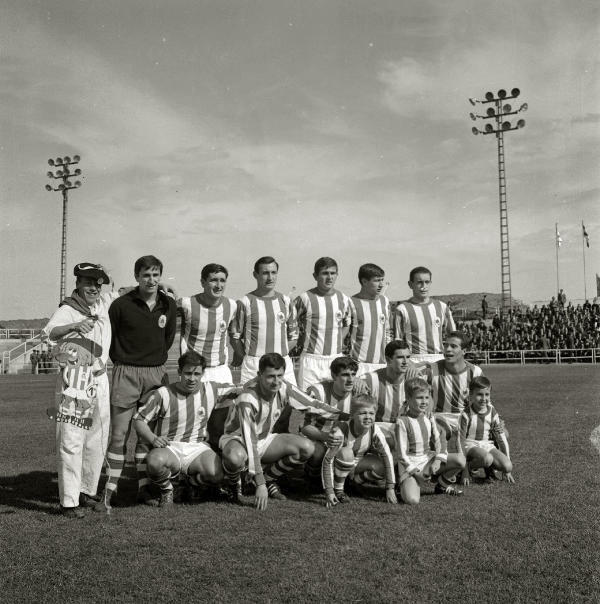 The promotion in Puertollano against Calvo Sotelo started the golden age of the club. 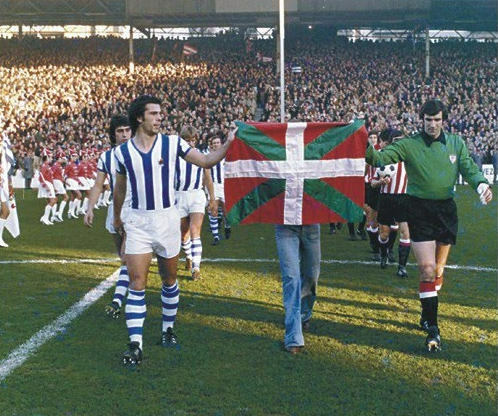 A year after the death of the dictator Franco, the 5th of december of 1976, La Real’s Ignacio Kortabarria and Athletic’s Jose Angel Iribar captains appeared at the pitch handling the yet-to-be-legalised Basque flag (Ikurrina). That match, celebrated in honour of Gaztelu (former player from La Real), ended with a 5-0 result in favour of the Txuri-Urdin and happened to provoke in fact the legalization of the flag. The winner line up was on its way. After a 3-0 defeat in San Siro, La Real tried to get back in the UEFA round against F.C. Internazionale Milano in Atotxa. In the return match, the txuri urdiñak were about to make it with an outstanding performance that ended 2-0. That game will be remembered as the best ever played in Atotxa. La Real started to gain recognition all over Europe. 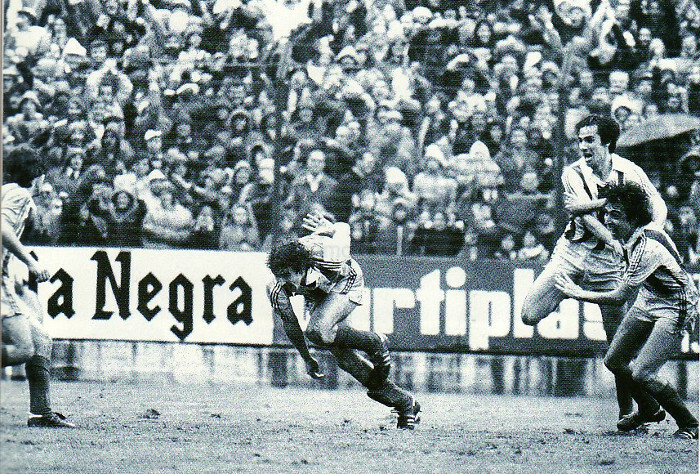 On May 11th 1980, the defeat at Ramón Sanchez Pizjuán put an end to a series of 32 unbeaten games in a row in the same season. This set a record among the european leagues. Neither Real Madrid nor Barcelona have been able to achieve such a feat. 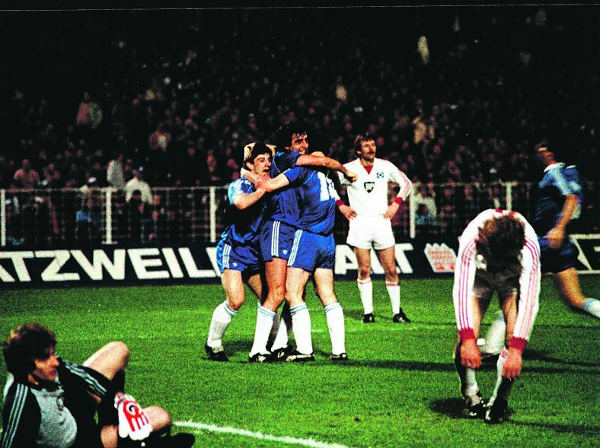 To sum up, that defeat, turned into a huge dissapointment as that very deserved league title petered out. “Olaizola to Alonso, he puts it in the box, Castro clears the ball, Górriz recovers it, Górriz kicks! Zamora takes the ball, he kicks… gooooaaallll, La Real’s gooooaaallll, goooooaaaaallll!!!! Unbelieveable ladies and gentlemen! !” Joxean Alkorta. In the last minute of the last game, La Real became League champion. 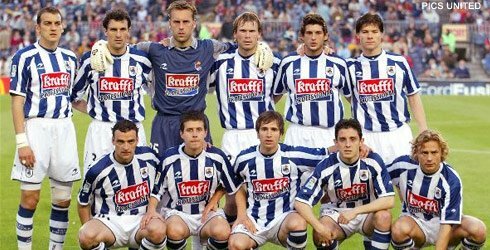 In the last league fixture against Bilbao neighbours, two goals scored by Zamora and López Ufarte in the second half, gave La Real victory, Atotxa and Gipuzkoa burst with joy, We are champions for the second time. 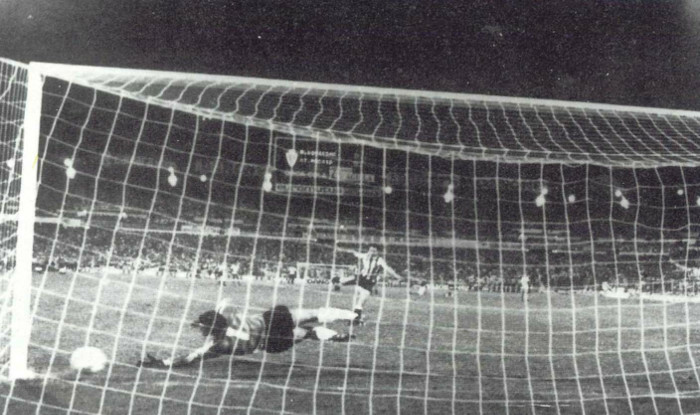 Our great Captain, Luis Arconada saved Quique Ramos’s penalty, which meant La Real’s second Copa del Rey trophy, this time against Atlético de Madrid. During the game, López Ufarte and Txiki Begiristain`s goals were equalized by the “colchoneros”. December the 8th 1998 was the saddest day in La Real’s history. Aitor Zabaleta was stabbed to death by a group of far- right Atlético de Madrid ultras nearby Vicente Calderon Stadium when he travelled with his girlfriend to Madrid to attend the match. Even today part of Atletico’s supporters keep on dishonouring his memory without the authorities´ intervention. He will always be in the hearts of La Real supporters. Struggling for the League Trophy head to head with Real Madrid, Raynald Denoueix’s team beat the “Galácticos” 4-2 in an unforgettable game with the goals of Kovacevic (2), Nihat and Xabi Alonso. Until the second- to- last fixture, La Real depended on itself to win La Liga for the third time in history, but that couldn’t finally be achieved. We lost that game against R.C. Celta, in Vigo where more than 10.000 blue and white fans had travelled to support their team. Setting off from the lowest category, La Real Ladies team promoted to the main female football competition, the Superliga, in two years. Every year the squad conforms a more solid group and is step by step competing with the teams at the top of the table. Titles will arrive in no time. Third year in a row in second division. 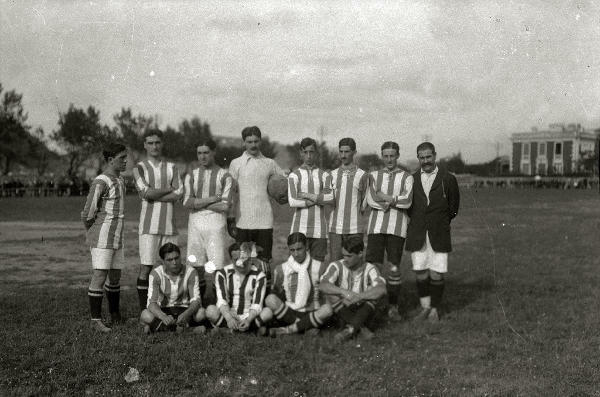 The season of the club’s centenary. A squad trained by Martín Lasarte and formed by players who would become corner stones in the following years in the main league gains almost mathematically the promotion to La Liga in Cadiz C.F.’s field, the Ramón de Carranza. That year, the club starts to get out of a difficult economic situation that led the club to a state of insolvency that began during the last few years in La Liga. During the celebration, Lasarte made a famous appeal “Do not disjoin.” That he later explained: “This city,with these supporters,this club,working altogether hand in hand towards a common target,is unstoppable”. After an outstanding 2012-2013 season, Philippe Montanier’s players qualified for Uefa Champions League group stage with Antoine Griezmann`s superb goal in Stade Gerland, Olympique Lyonnais home. The following performance was quite disappointing, opposite to the brilliant support and model behaviour of the fans. 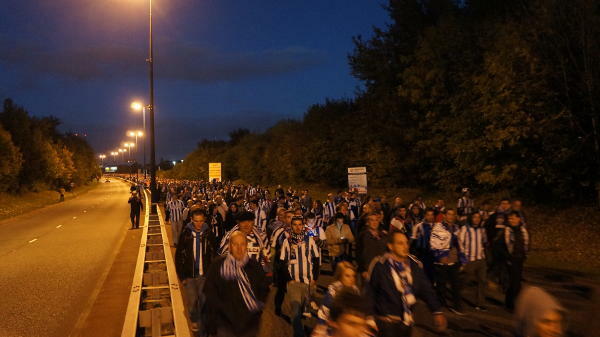 Supporter’s crowning moment came when the more than 5000 fans who travelled to Manchester walked the distance between Picadilly gardens and Old Trafford without any incident whatsoever. Zubieta, La Real’s crown jewel. Training facilites and youth academy. Thanks to the job made there, we are the club among the major leagues with the highest number of players grown in our own academy. 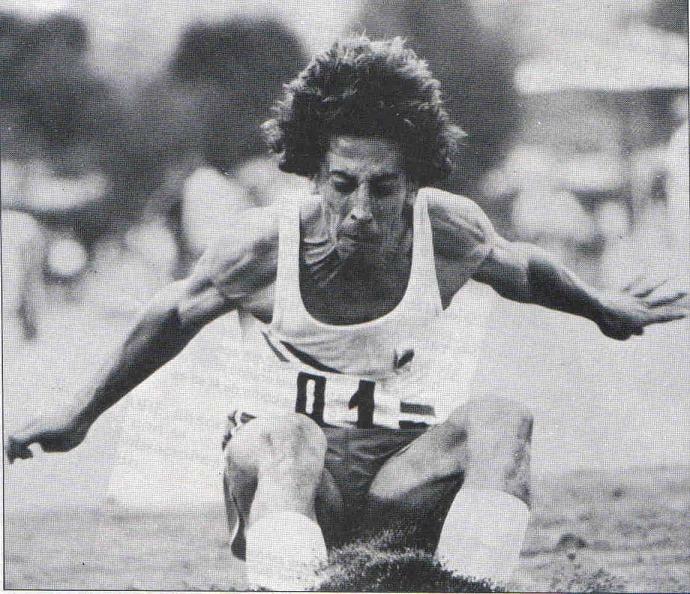 Apart from football, La Real has other sport sections, such as field hockey, diving, basque pelota and athletics, being this last one the oldest with more than 100 years since its establishment. The most successful is field hockey, whose ladies have won several championships. Sticks up!! 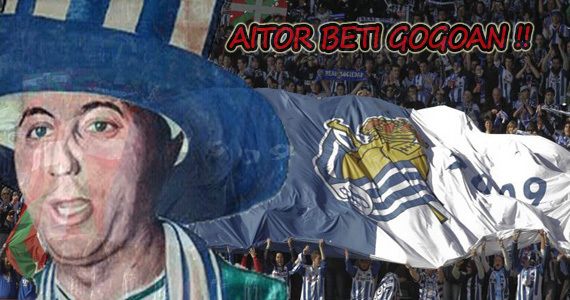 Real Sociedad is not only football nor sports. Apart from that area, the contribution to culture is bold. 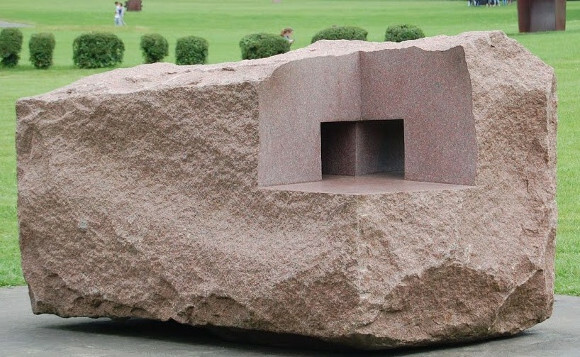 Eduardo Chillida, one of the most prestigious basque sculptors ever, defended as a goalkeeper La Real’s goal in 1940-41 season: “I learnt a lot of things playing football that I applied to my works after”. Elias Querejeta, director of several notable pieces of Spanish cinema, played with the team (playing on 41 matches and scoring 6 goals). 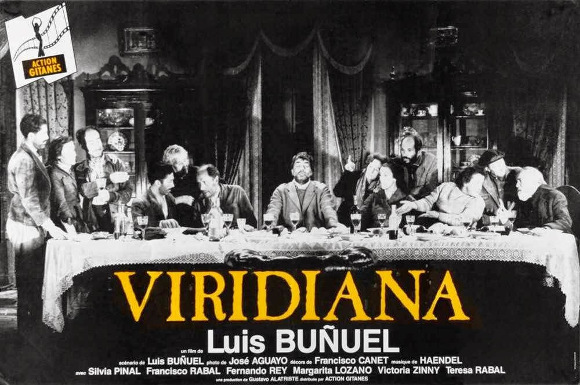 He personally convinced a group of teammates when creating Laponia Films, which eventually was responsible for producing Viridiana masterpiece.